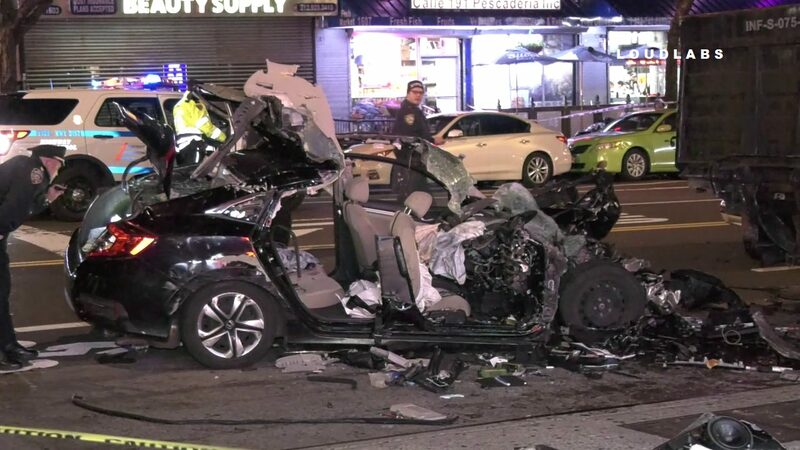 4.16.19 | by Adam Balhetchet | MANHATTAN – A car reportedly hit several cars then finally crashing into an unoccupied MTA truck. It happened at W190 & St Nicholas ave around 1 am Tuesday within the confines of the 34th Precinct. 2 victims were trapped, extricated, and transported to Harlem hospital, 1 with CPR in critical condition, another with non-life-threatening injuries.